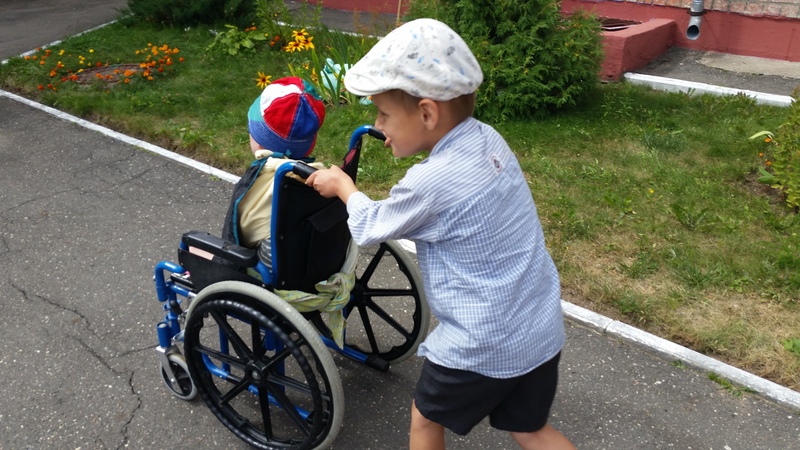 The Burren Chernobyl Project Medical Programme provides additional medical support, training and equipment to our paediatric orphanages across Belarus. Burren Chernobyl Project works closely with our Belarusian counterparts and pays development workers to work in the understaffed orphanages. Development worker Dr. Maryia supports the programme based in Cherven children's orphanage which is home to three hundred children and young adults with intellectual and physical disabilities. The programme not only offers short term interventions but provides long term support and hope for both the orphanages and the communities in which it works. Medical Support - Dr Maryia in Cherven Children’s Orphanage who has received training from Ronan in the early stages of the programme. Now Maryia is trained to an almost autonomous level. Wheelchair Specialisation - It started some years ago when Ronan would measure one or two people for specialised wheelchairs. Then Sean, seating engineer, would make the wheelchair during the year. Ronan would then fit them when he went out. This continues into 2016. Cherven Workshop - Now Sean and Ronan have a workshop set up in the Irish store in Cherven orphanage. They alter and build seating systems there to suit each specific child. They bring specialised foam, brackets, straps, etc and buy the plywood there. Their tools are stored between trips in Minsk. Programme Review - Ronan and Sean review the therapy programmes with Dr Maryia each visit. They work on a case by case basis, not just Unit 6. 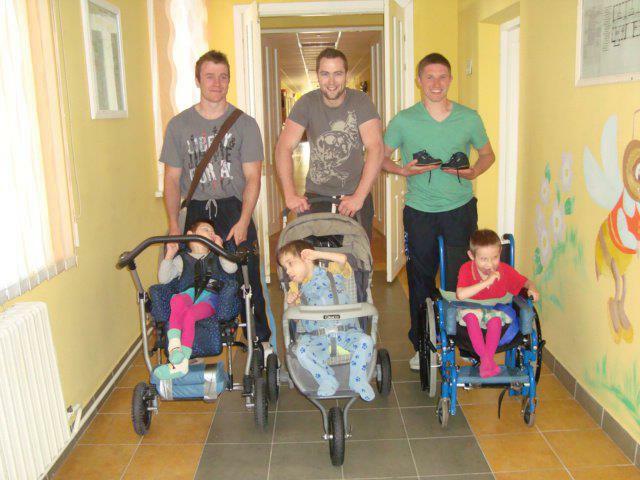 Community Cases - Ronan and Sean have about eight or nine community cases, in various villages, some our own, some they have inherited from the hospice in Minsk. These community cases involve building special seating systems which they have put in over the years, splints, footwear and therapy programmes. 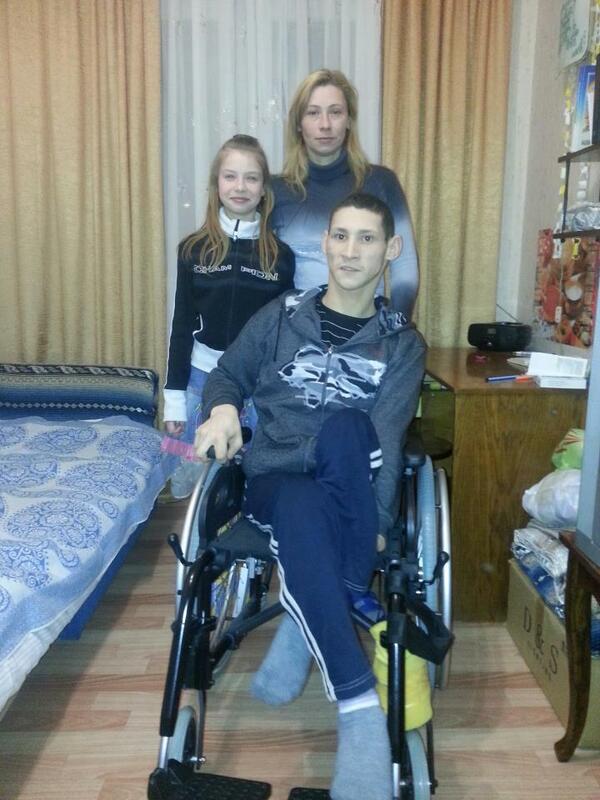 Staff Training - Training Days have been carried out with Dr Mariya and also with the staff of the Hospice in Minsk. Ronan also reviews some of their complex cases and provides advice. Ivenets - Ivenets is another Children’s Internat where Ronan and Sean have visited to work on some chairs, including some former children of Cherven. Needs for the future - Burren Chernobyl Project badly needs more people like Seán and Ronan willing to travel and give their expertise in whatever is their area of speciality. We also need more of the great physiotherapy students who have been part of the programme for the last few years.